What is microderm, or microdermabrasion? Microdermabrasion is a gentle deep medical mechanical anti aging exfoliation treatment for the skin of the face and neck. 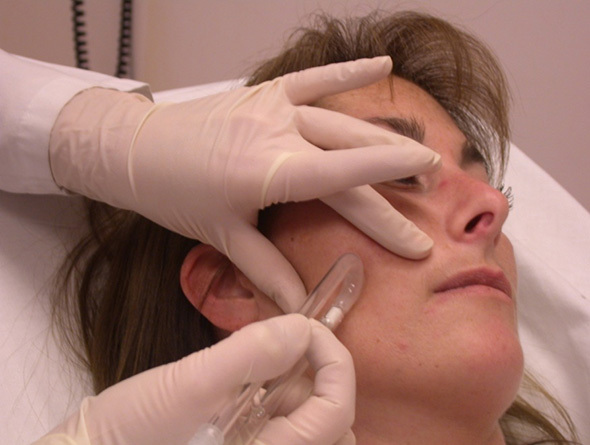 The microdermabrasion wand is a small glass tube with an opening that is passed over the skin and gentle suction is applied to pull the skin into the wand were small aluminum oxide crystals pass over the skin to remove dead skin cells, sun spots, fine wrinkles and lines, improve skin texture, and reduced pore size. Microderm is also an effective medical grade exfoliation for acne control. Does microdermabrasion or microderm work? Yes, medical grade microdermabrasion is a very effective gentle deep skin exfoliation treatment to remove skin aging changes such as dry skin, dead skin, fine wrinkles and pigment. What are the advantages of having microdermabrasion treatments in a medical spa? Medical grade microdermabrasion machines that are used in a medical spa under the supervision of a physician are stronger and provide deeper more effective exfoliation that home microdermabrasion or day spa microdermabrasion treatments can deliver. Yes microdermabrasion treatments are safe when done in clean medical spa environment by trained medical aestheticians working under the supervision of a physician. What will my face look like after microdermabrasion? After your microdermabrasion treatment your skin will feel clean, smooth and have a youthful glow. Your skin may be pink after microdermabrasion treatment for a few hours or overnight. How long to see my final result after microdermabrasion treatments? 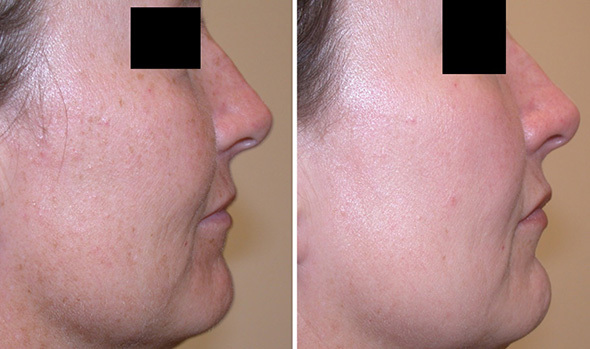 Although you see the benefits of microdermabrasion treatment immediately the new skin cell regeneration and production of collagen take time and you will see continued improvement over many months if you do regular microderm treatments. Where should I have my microdermabrasion or microderm treatment? A medical spa that is supervised by a physician provides the safest most effective microdermabrasion treatment. Who should do my microdermabrasion treatment? An experienced, trained medical aesthetician working under the supervision of a physician is the best person to do your microdermabrasion treatments or microderm treatment. How often should I have microdermabrasion treatments? 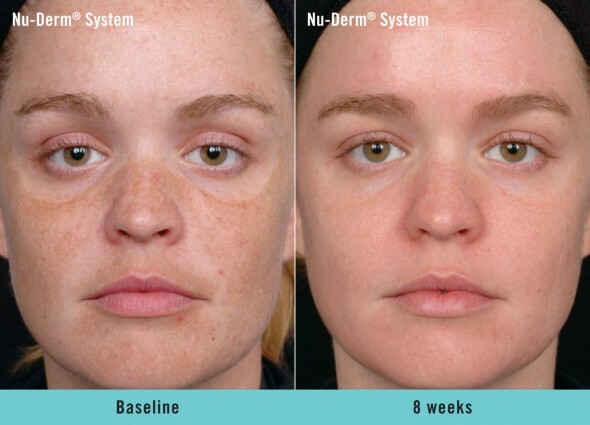 For the most effective microderm skin rejuvenation results a microdermabrasion treatment every 6-8 weeks is optimal. Repeated microdermabrasion treatments improve wrinkle removal and new collagen growth in the skin and also improve the effectiveness of topical anti-aging creams. Do home microdermabrasion treatments work? Some home microderm treatments can be helpful in maintaining continued exfoliation. However, be sure to discuss any home treatment you are using with the medical aesthetician before you have a medical grade microdermabrasion. Also be certain to discuss any topical anti-aging creams that you’re using before you have a medical grade microdermabrasion. Sun exposure, acne and aging can all take a toll on the skin and leave you looking older and more run down than you actually are. If you’re looking for a skin care boost, medical spa treatments such as microdermabrasion, chemical peels and laser resurfacing can help. Contact Dr. Brooke Seckel today at 617-455-2859 to schedule your consultation.